Get ready to make your own adventures with The Viking Bunnies! Play on your iPhone, iPad, or right here on our website (Flash Player required). Join Steve, Lars, Thora, Captain Fuzzy, and more as they seek out treasures and adventure on The Wild Sea. Be sure to join us on Patreon for extra features available only to supporters! We'll be able to tell you more about the game as it is developed. Due to launch in Spring 2019! 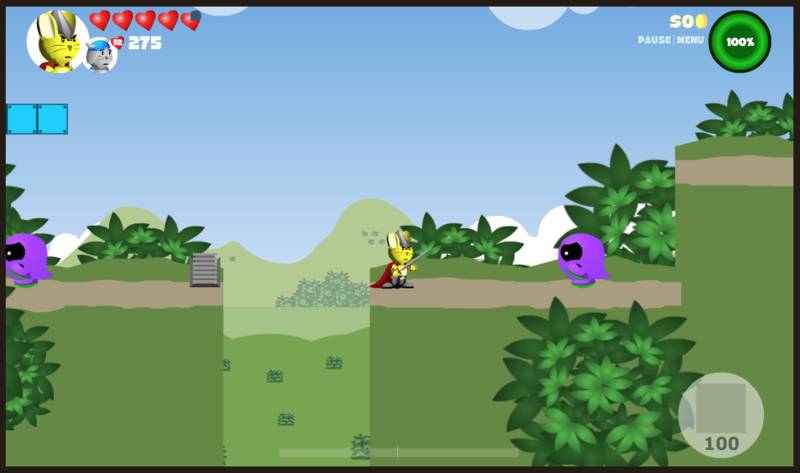 The Viking Bunnies Mobile Game is a classic 2D platformer with lots of RPG elements! Play as any of the four bunnies in teams of two as you search the world for Gold Tokens. You'll be able to sail all over The Wild Sea and explore all of the Animal Kingdoms!